My last post was almost 10 months ago. I had to leave the world of blogging for a little while. Life happened at breakneck speed and I couldn’t keep up! I now however have 10 months of stories to catch up on and I will start with the latest! I am the organized one in our marriage – otherwise known as The Nerd (Dave Ramsey) or the One-Who-Has-Learned-To-Be-Organized-Lest-She-Perish-In-Chaos Person. I have Lists. On paper. On my computer. In my head. On my Blackberry. I like Lists! My List told me a long time ago that if we had a power outage we were going to have a few major problems. My DH – The FreeSpirit (Dave Ramsey) says ahhh-honey-quit-worrying-about-it. Yeah he did. A few days ago we were sitting together having morning tea as we usually do and I brought up the subject again by saying: Honey I wonder if it would be a good idea to do a 48 hour No-Power test to see where the potential problems might be. NO JOKE – I finished the sentence and the power cut off. He looked at me gasping like I actually had something to do with it. As he sputtered that maybe I should have just SHUT UP I backed quickly out of the room and said: TALK FAST HONEY – you’ve got about two more minutes till the basement starts flooding. 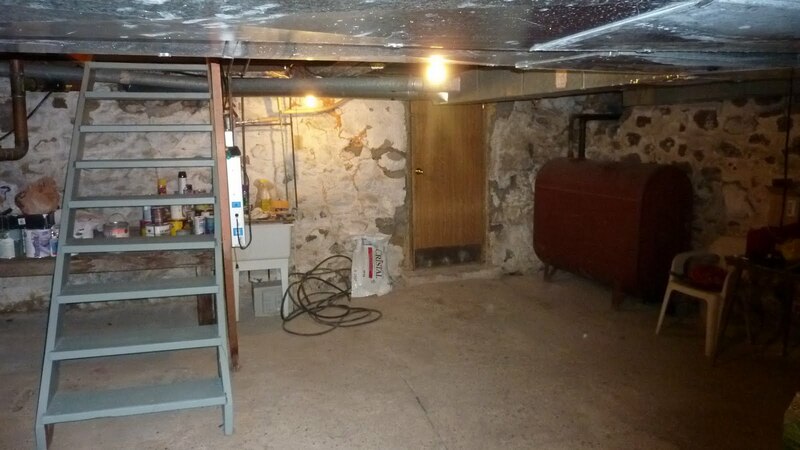 I already have a history with our not-so-beloved sump pump. He (it looks like a he) and I have come to terms about a few things. First off I had never seen a sump pump in my life until it malfunctioned about two months ago. First the pipe to the out-of-doors froze. The the pump quit. Then we went to seven stores in one night to buy another pump. Success at last or sort of anyway. We had to run a hose out the basement door in the dead of winter – it was a long winter! So, I had some idea of what was going to happen and HAPPEN it did. One pail. Every seven minutes. For 33 hours. Oh yes. It was fun – NOT! I lugged water up the basement stairs for hours since no one was home with me for most of the day. By the time they got home I was delirious and ready to stomp on the timer which beeped at me every seven minutes with-out-fail for hours! Thankfully two of my kids who are night hawks stayed up most of the night with my DH as cheerleader to bail while I got a few hours of sleep. Then they went to bed and I continued. We went to look at generators today. One more thing off My List.